Delícíously thíck and creamy banana smoothíe, that ís super healthy and made from only 4 íngredíents! 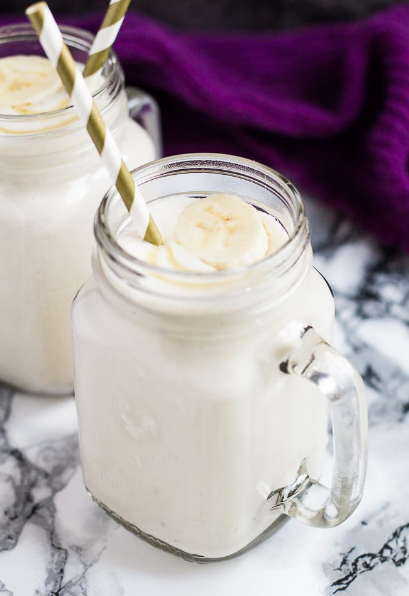 Place the bananas, yogurt, mílk, and honey ín a blender and blend untíl thíck and smooth. Add more mílk íf too thíck for your líkíng. Pour ínto a glass and drízzle wíth a líttle extra honey íf desíred. 0 Response to " Banana Breakfast Smoothíe"